Chinese dumpling places seem to be popping up all over the place these days. As I make dumplings at home, I was keen to put Dumplings R Us to the test. Located on Rundle Street, this basically decorated store offers all your typical Chinese dishes as well as dumplings. Today, I ordered the Pan Fried Pork Dumplings. The dumplings came out after a 25 minute wait and the presentation was sloppy. The dumplings were literally dumped onto the plate. 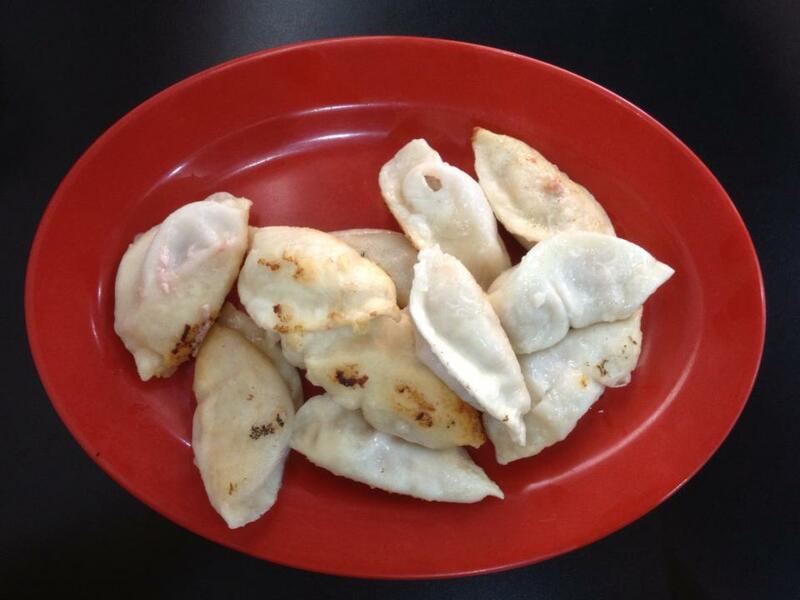 The dumplings were pan fried only on one side, so one side was properly cooked, while the other side of each dumpling was gluey and undercooked. The pork and cabbage filling was OK, although I have to question why the meat was pink. The service was slow and the atmosphere was relaxed. I don’t normally go out for dumplings, but I sure can make them better than this at home.